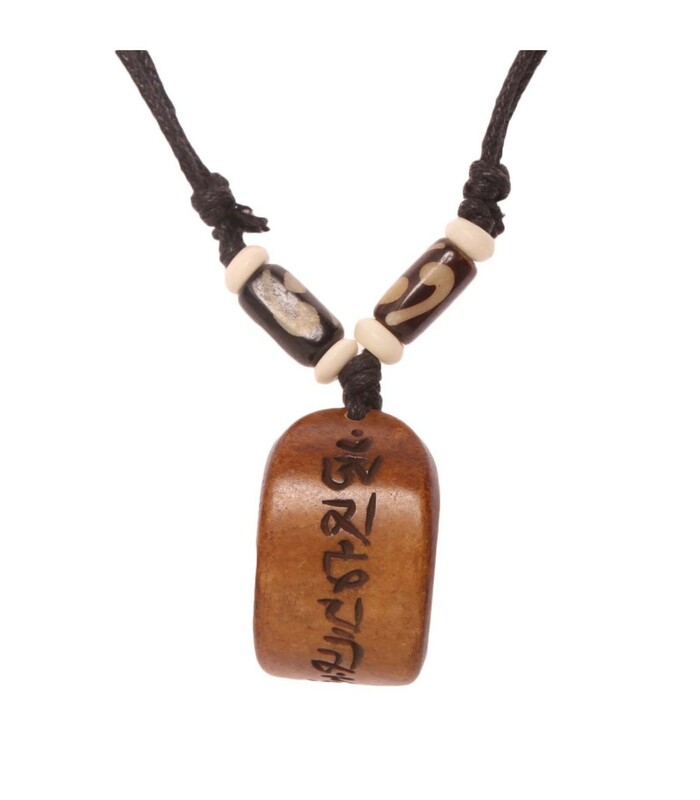 Tibetan mantra crafted locket. 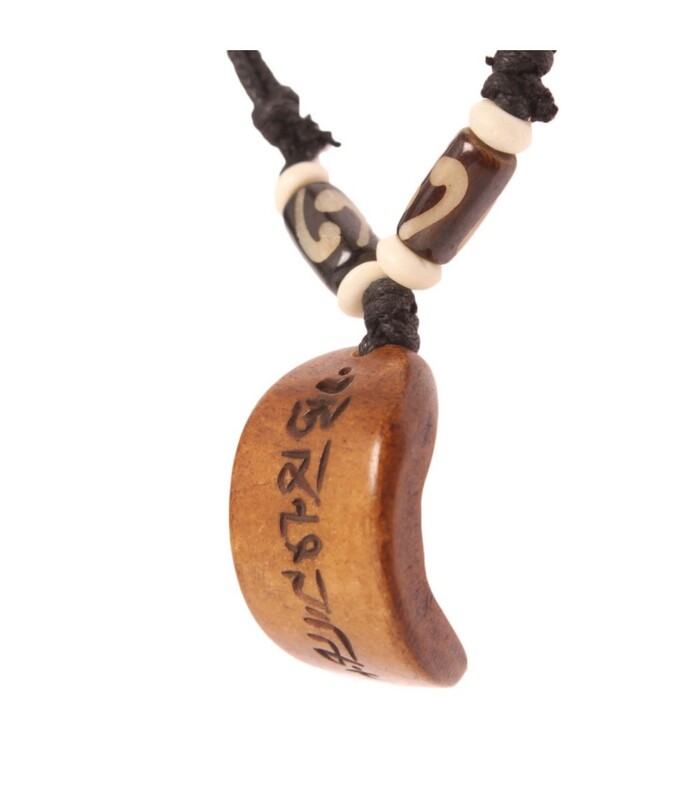 The locket is unique in shape and design and is made of buffalo bone, dyed into beige colour. Mat black Wax cord with beads in between is used to hold the locket.